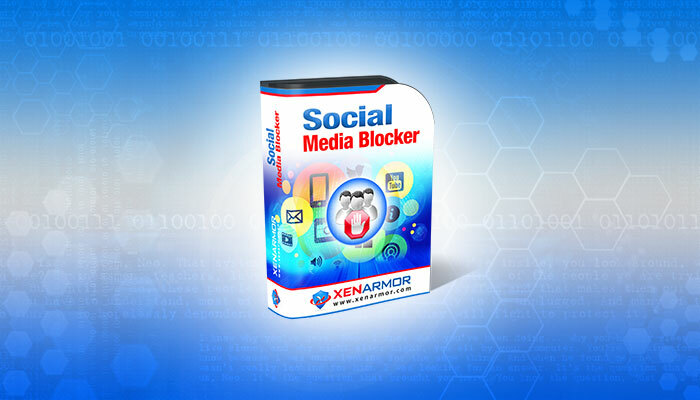 Social Media Blocker is the enterprise software to help you instantly block popular social networks such as Facebook, Twitter, YouTube & many more. 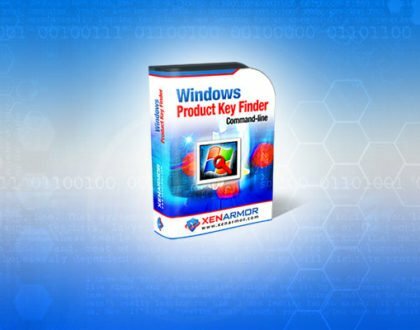 It operates in complete stealth mode blocking the social websites across all browsers and applications on your computer. In addition to default social networks, you can also add and block custom Social Networks or Websites through advanced settings. Social Media Blocker Personal Edition supports first 5 social networks. However Enterprise Edition supports all of the above social networks. In addition to this, it also allows you to add & block custom Social Networks/Websites. 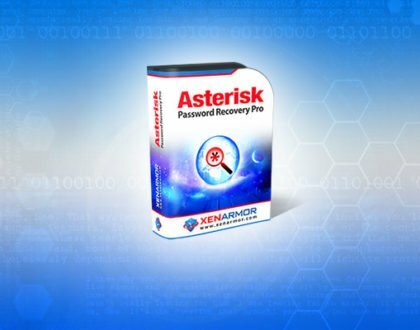 Instantly Block all popular Social Networks such as Facebook, Google Plus, Twitter, YouTube, Instagram & many more. 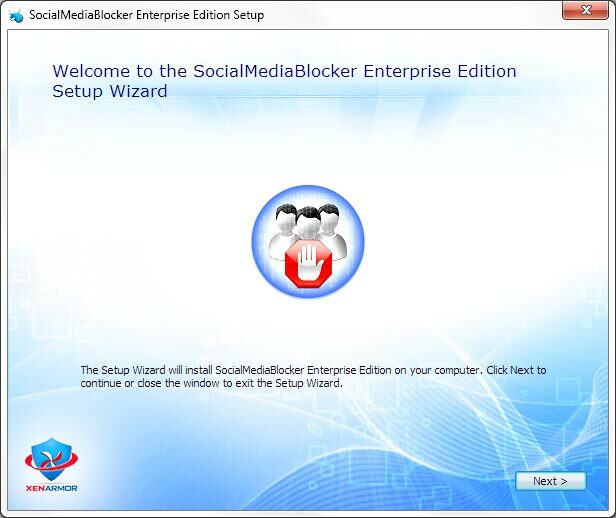 Social Media Blocker works on both 32-bit & 64-bit platforms starting from Windows XP to Windows 10. 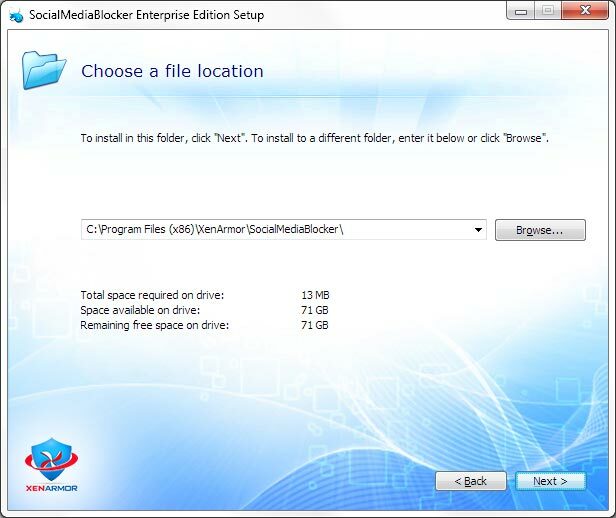 Social Media Blocker comes with standard windows installer which allows seamless installation & un-installation. 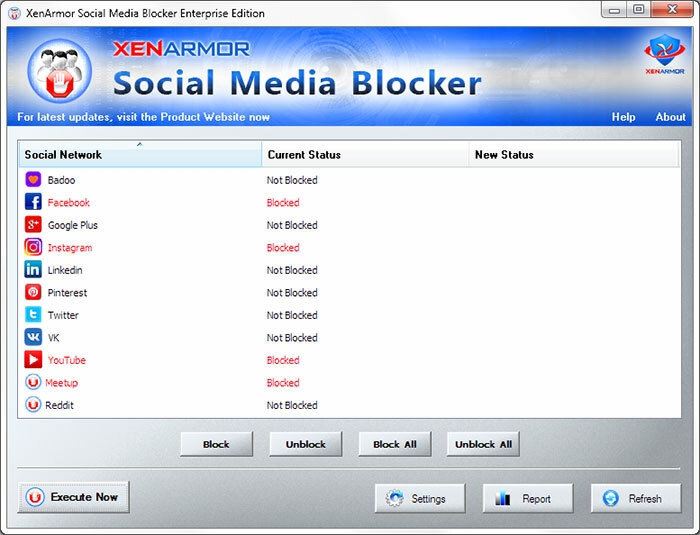 Social Media Blocker is very easy to use & helps you to quickly Block all the popular Social Networks. Now you can just use the buttons (Block, Unblock, Block All etc) below the List to set the “New Status” as you desire. Once set, finally click on “Execute Now” button to Block the selected Social Networks as per their “New Status”. For more details on how to perform Blocking/Unblocking operation in multiple ways, kindly refer to next section. Once the “New Status” is changed, it will be shown in “Red” background color as shown below. Now once you have set the “New Status” of desired Social Networks, you can finally click on “Execute Now” button to perform all the Blocking operations. On success, it will set the “Current Status” of all Social Networks in the list. You will also see “Blocked” social networks displayed in Red color. Now you can close this “Social Media Blocker” application. There is no need to run it in the background. Note that you may have to close & reopen the Browsers/Applications (such as Chrome, Firefox, IE etc) for changes to take effect. For more details on each of these options see the next sections. In Right Click Menu, click on “Block Now” to set the “New Status” of selected Social Network to “Blocked”. You can also click on “Block” button below the list. Once set, you can click on “Execute Now” button to actually perform Blocking/Unblocking of Social Networks. In Right Click Menu, click on “Unblock Now” to set the “New Status” of selected Social Network to “Not Blocked”. You can also click on “Unblock” button below the list. In Right Click Menu, click on “Visit Website” to launch & verify the website of blocked Social Network. This will help you to quickly reconfirm if the website is blocked or not. In Right Click Menu, click on “Remove from List” to remove the selected Social Network from the list. This option helps you to keep only desired Social Networks in the List. You can add it again using “Select Social Networks” panel in Settings. In Right Click Menu, click on “Refresh List” to update the latest settings of each Social Network from the stored database. You can also click on “Refresh” button below the list. Advanced Settings help you to tweak & customize Social Network blocking operations as per your need. First section in Settings help you to select Social Networks for blocking operations. Once selected they will be added to main screen there you can selectively block or unblock them. Once you select or deselect Social Networks, click on SAVE button to apply the changes. 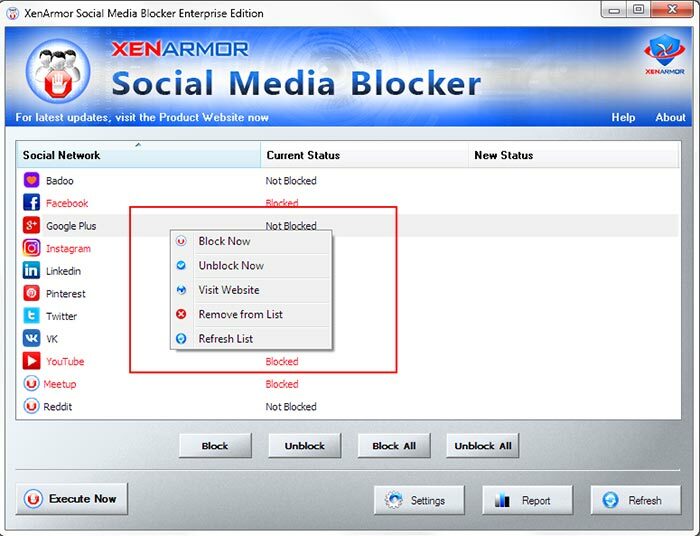 Note that Personal Edition of Social Media Blocker helps you to select only 5 popular Social Networks. Basically it helps you to have only desired Social Networks in the main screen of application. This is one of the advanced feature of Social Media Blocker. 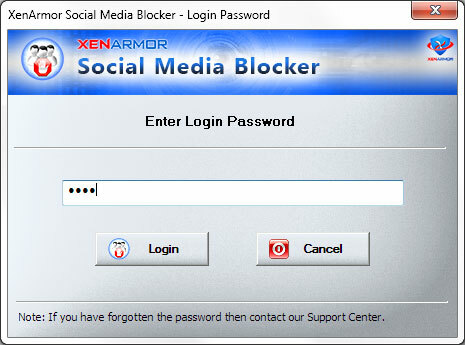 It helps you to add and block your own Social Networks/Websites. Once entered, click on “Add New” button to add it to the List. You can repeat the same steps to add more Websites/Social Networks. Then enter the new details and click on “Update” button. When you Add New Social Network Website or Update existing Website, changes are automatically saved. On closing, it will automatically show up in the main list of the application where you can Block or Unblock it. Last section in Settings help you to set Login Password so as to prevent others from accessing this application and changing your settings. Simply set the login password here and click on SAVE button to apply the changes. Next time you launch this application, you will be asked to enter the Login Password. 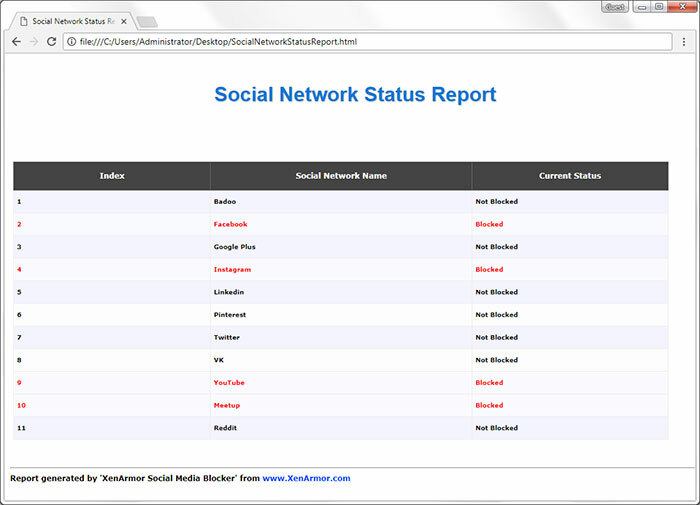 Once blocking operation is executed, you can generate detailed Social Network status report in HTML or CSV file format. To generate report, simply click on Report button and then select the Type of Report (HTML or CSV) from the ‘File Save Dialog’. This application completely operates in stealth mode.Once you Block the selected Social Networks you can simply close this application. There is no need to run it in the background. Also it does not install any plugins in browsers or other applications. 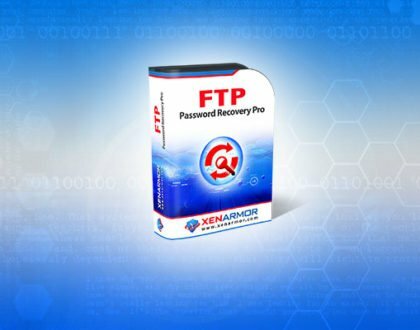 Once set, it will silently continue to Block your social networks across all applications on your computer. 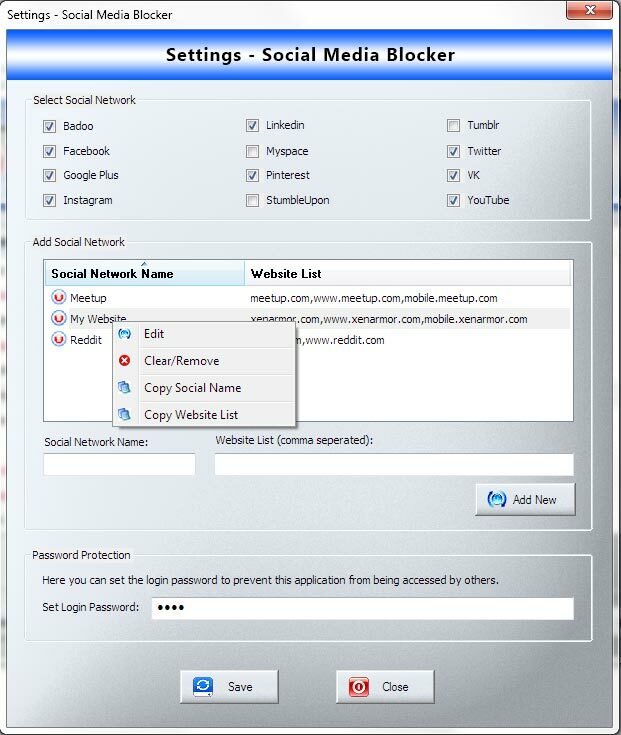 In addition to default Social Networks, you can also add your own Custom Social Networks or Websites to block it. 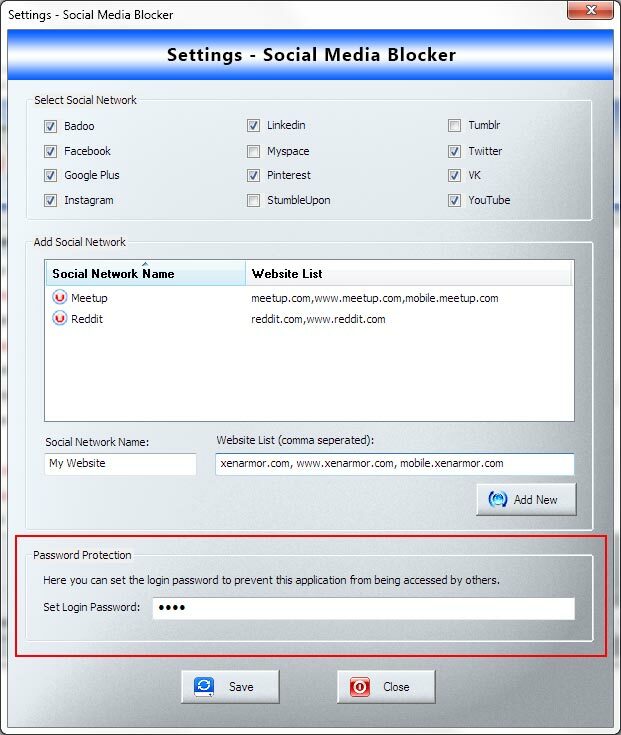 Login Password feature helps you to prevent others from accessing this application and changing your Social Network settings. You can easily set the desired Login Password as explained in Settings – Set Login Password section above. Then next time any one launches this application, he/she will be asked to enter the Login Password as shown below. 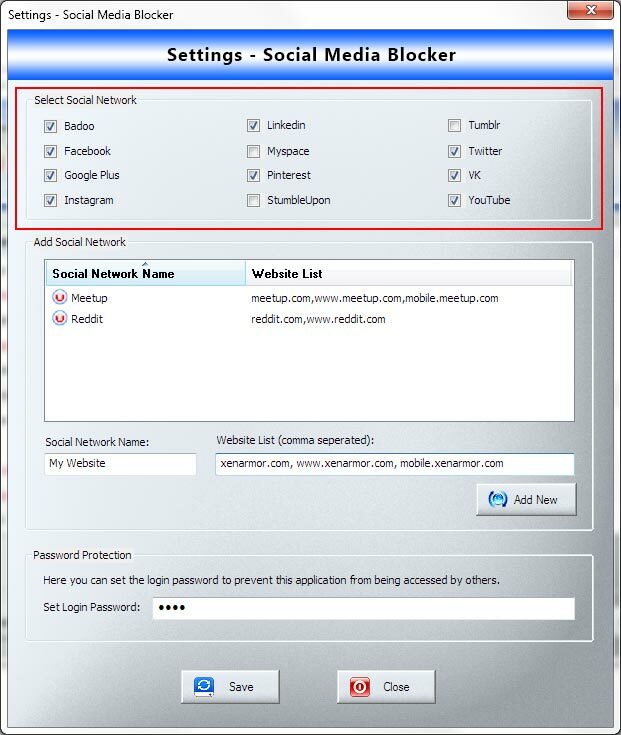 This will help you prevent others using your computer from messing with your Social Network settings.